28 Mar 2019 --- No sugar, low-calorie and high-protein functional beverages, such as protein waters, will continue to see a surge in popularity, according to Volac, UK manufacturer of nutritional whey proteins and lactose products. 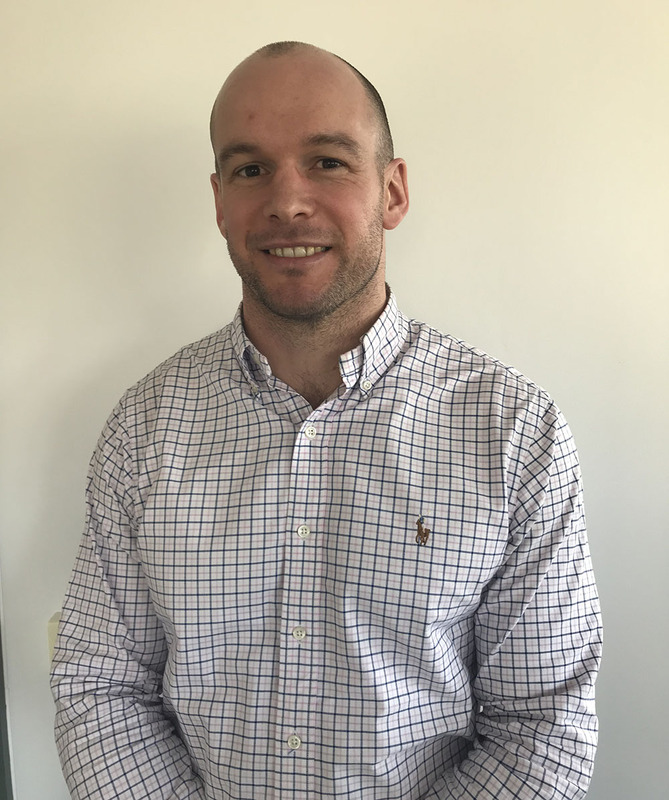 Functional beverages are “an exciting space,” Alan Johnstone, Business Development Manager at Volac, tells NutritionInsight. 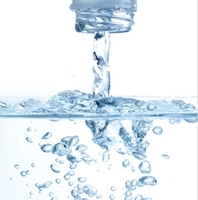 Tapping into the high protein and clean labels trends, the company is exploring “functional hydration” through the launch of ingredients that will fortify water without changing its refreshing taste, while maintaining a “clean label” appeal. “Functional beverages are really exciting and it’s clear to see how wide their appeal is. Major retailers have already launched functional beverage lines and more are to follow. There are beverages with a lot of functional advantages, such as gut health, vitamin immunity and general health and wellness claims. Brain health and nootropics are also an exciting area,” Johnstone says. Protein-fortified food and beverages used to predominantly target the sports nutrition space, especially when it came to high-protein or energy boosting claims, says Johnstone. Sports nutrition is still going strong, but along with consumer awareness, the category has seen the rise of what Volac calls “the active consumer.” This new rank of consumers are not athletes, but seek to support their active lifestyles with enriched products that boost energy and boast nutritional benefits. “There are far more active nutrition and health-conscious consumers out there than there are consumers dedicated to sports nutrition,” Johnstone notes. There is a significant demand for protein beverages, according to Johnstone, as about a quarter of all consumers in Europe have bought a protein RTD (ready to drink) beverage in the last six months, which indicates a high level of penetration. Volac foresees a huge demand for such “clear drinks” as they seem to satisfy many levels of consumer demand. “We are hitting a ‘sweet spot’ of nutrition where one can add in a multitude of different and active selling points to the drink. Convenience is one, obviously but it also has a natural appeal. So we see a high demand for a quality nutrition, clean label sugar-free, fat-free and low-calorie product. All these claims can be tapped into with a protein water or a clear protein drink,” Johnstone highlights. 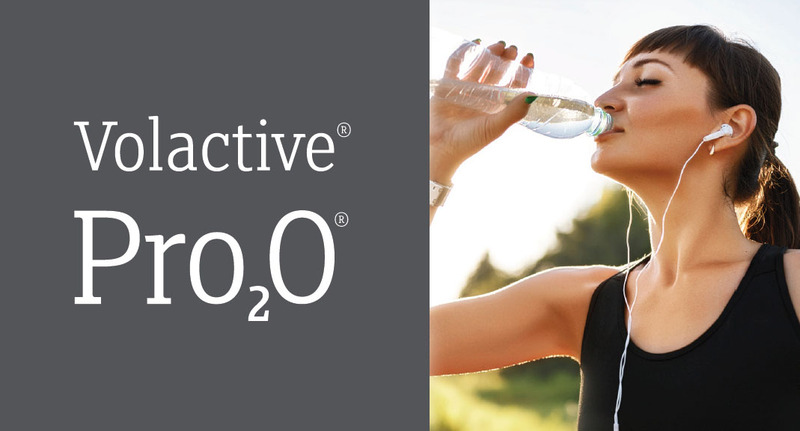 With this in mind, Volac has released Volactive Pro2O, a whey protein ingredient, specifically designed for clear drinks. “It can make a drink look as clear as water and it tastes delicious with very little astringency. We know that it works well in the manufacturing process as well. So hopefully, this will be a big win for us in the next couple of years,” Johnstone says. Looking into food applications, Johnstone sees potential for the ingredient in bakery, confectionery and powder food supplements as well. Innova Market Insights has reported a 64 percent average annual growth of food and beverages with a plant-based claim (Global, CAGR 2013-2017). Plant-based growth has been a key theme for several years, but the extent to which it grew into the total mainstream with both vegetarian and vegan options became clear throughout 2018. Some may think this surge in plant-based product’s popularity may negatively affect dairy-derived ingredients and products, but Johnstone supports that there is no competition here. Click to Enlarge“We use exclusively whey protein at Volac. I think [plant-based] is a long-term trend but the impact on us is fairly small. Rather than seeing these as two opposing forces they should be seen as one trend where people want natural, sustainable and healthy products. From our point of view, whey protein is a natural and sustainable protein ingredient so that consumer demand should be good news for us. Not all animal products are bad, for example. It is possible to have a sustainable dairy business,” Johnstone stresses. Sustainability is considered for Volac ingredients since the company works entirely with local dairy producers and is largely active in the European scene. “We work extremely closely with our suppliers which is the UK dairy industry. In the UK, dairy is a sustainable industry. The soil is uniquely suited to grow grass and, therefore, feed cattle. We have a low import model for dairy and we source locally so this means low transport costs,” Johnstone notes. In terms of expanding its reach, the company is still exploring its options and looking to the east as it shows promise as a market. The Asian markets are interesting for European suppliers on the branded side because there is a lot of demand there for European branded products, according to Johnstone. “But also on the ingredients side because we have good conditions for producing whey protein ingredients, which is not the case for China or India, who have to import a lot of the ingredients and products. So, there is clearly potential there. It is an area where we know our competitors are interested in and we are also exploring,” he says. “It starts with the consumer. We conduct a lot of research on consumers to understand what people want to buy. Then we will do the application work to develop the products that we know people want and then develop the ingredient,” Johnstone says. The ingredients Volac has in the pipeline will “play to the current trends of convenience” and the mainstreaming of protein, which means getting protein into FMCG products that taste and feel exactly like the non-protein products already on the market. Volac is one of Europe’s leading manufacturers of nutritional whey proteins and lactose products, supplying high quality, nutritionally rich dairy ingredients to leading UK and European food and beverage companies. The Dairy & Lifestyle Ingredients range combines Volac’s long standing heritage, scientific knowledge and superior whey processing capability to provide unrivalled quality, nutritional integrity and proven performance across a range of food and beverage applications. We specialise in the filtration and drying of whey derivatives, providing ingredients to markets where taste, application and convenience are key. All our products are manufactured under the highest technical, quality and environmental standards. The Volactive UltraWhey range of WPC80 and WPI powders are used extensively throughout the European lifestyle and sports nutrition markets for their nutritional health benefits. Volactive ProCrisp is a neutral tasting whey protein in a unique form that provides texture to a variety of applications such as cereals and bars. Volac is the only Informed-Sport accredited company in Europe to produce high-performance whey proteins with its Volactive UltraWhey range. The Volactose range of high quality lactose and whey permeate products are suitable for a wide range of food processing, confectionery and bakery applications. Volactose Taw Whey Permeate is made using a unique combination of state-of-the-art technologies to produce a great tasting and economical source of milk solids. Volactose Taw Whey Permate is Kosher, Halal Mui, Vegetarian and non GM approved – a key advantage for products in a competitive market which demands such assurances. Volactose Edible Lactose is a versatile and functional ingredient useful for a wide range of bakery, confectionery and savoury products. Volactose Whey Permeate is a uniquely manufactured free-flowing whey permeate powder suitable for bakery, confectionery and dairy ingredients blends.